All Women Painting becomes category leader in environmental responsibility. Safeguarding the health of my workers and clients by preserving air quality has turned into a unique value proposition. Acting on EarthPeople’s advice, we’ve managed to cut costs and emissions. EarthPeople, a Dallas-based sustainability consulting and communications firm, announced today its entry into the Philadelphia market with client All Women Painting, a woman-owned, eco-friendly interior painting company. EarthPeople’s project with All Women Painting centered around making business operations more environmentally responsible, reducing waste, and developing sustainability communications strategies to engage customers. Other recommendations by EarthPeople included membership with the Sustainable Business Network of Greater Philadelphia (SBN), a nonprofit network of local triple-bottom-line businesses and social entrepreneurs; and advertising in GRID magazine, a free, monthly print publication in the Greater Philadelphia area and neighborhood association publications such as the Queen Village Neighborhood Crier. “At events such as the Sustainable Business Network’s meetings, it gives me great pleasure when I hear people say, ‘Oh, yes I know your company, the one with the woman in the ad’,” says Ms. Apati. One of All Women Painting’s first and best clients is Judy Wicks, founder of SBN and is also an international leader and speaker in the local living economies movement, a cofounder of the nationwide Business Alliance for Local Living Economies (BALLE), and a proponent of Fair Food Philly. Wicks also co-founded the Free People's Store in 1970, now well known as Urban Outfitters. With All Women Painting, Ms. Wicks enjoys the quality of work, use of no-VOC paints, and Apati’s personal commitment to her clients and the environment. EarthPeople is a consulting and communications firm that transforms organizations through profitable sustainability strategies. 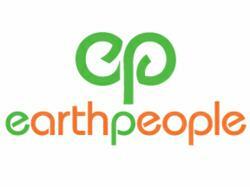 Since 2005, EarthPeople has provided branding, consulting, public relations, stakeholder engagement, and CSR support for clients ranging from startups to Fortune 500 companies. For more information, please visit http://www.earthpeopleco.com.